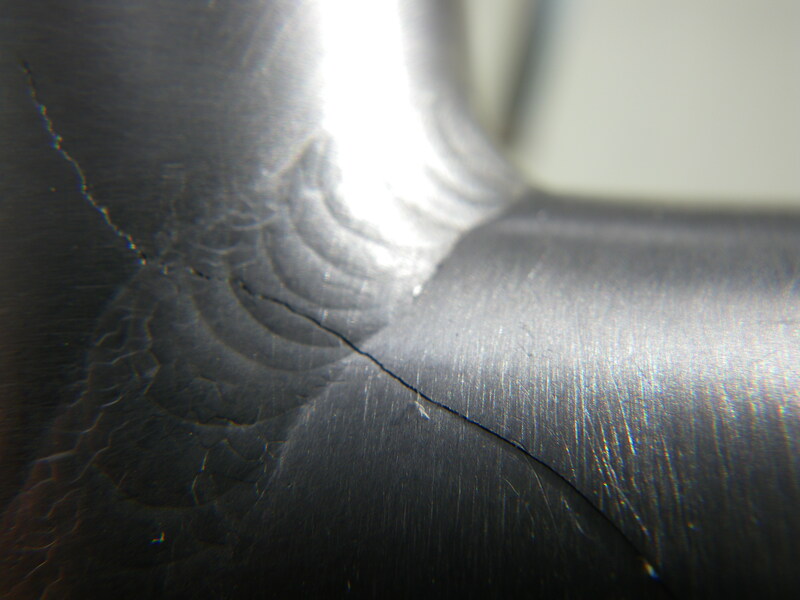 In August 2010, just after I’d done the Mille Cymru, I discovered a crack in the frame of my prized Setavento Custom Titanium bike. Normally a problem like that would be a warranttee return but Setavento are no longer trading, they are not contactable and as far as I know there is no active waranttee scheme. The damage looked terminal. 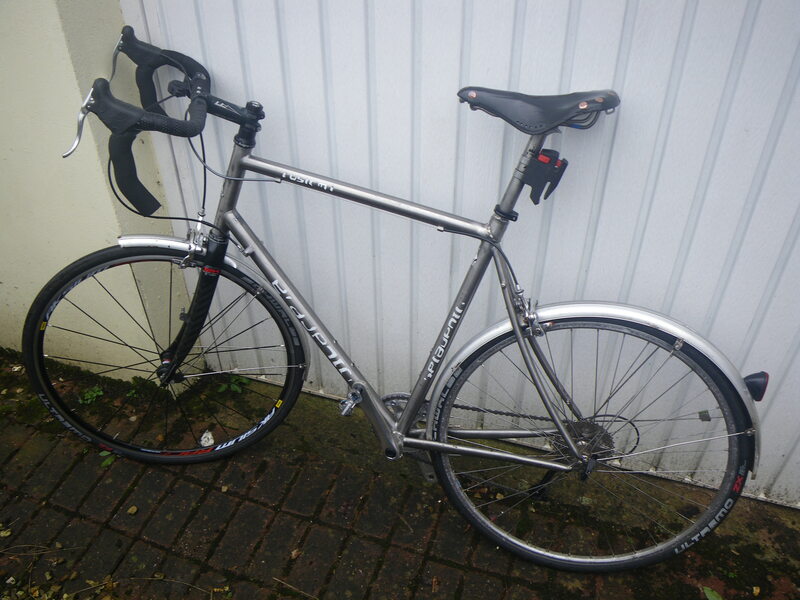 I stripped all the Campag parts off the bike, sold them and bought a new bike, a Specialized Roubaix. I asked around if the titanium bike could be repaired. Apparently, the place it fissured near the seatpost/stays/top tube interface is a common place for a crack. One specialist (retired) welder said he’d not seen a crack propergate through the weld in titanium in quite that way before. All this was a shame, because it was a great frame. The fit was excellent and titanium as a material gives a good ride. The bike festered in the back of the garage for over a year. I did PBP on the new carbon bike. Then I heard that some one I knew had had a similar problem and had got it repaired. They’d used a welder and bike fixer from up north. He’d welded up the cracks and put a reinforcing collar around the effect area. I called him up, sent some emails with photos of the cracks and then the frame. A few weeks later the frame returned. Great story, nice to see the frame back in use. I too have a lovely Ti bike (Seven Axiom) and the guys in the club laugh because I run a 38 chainring and an MTB rear cassette (using Dura-Ace 9-speed!). But really, what else do I need . . . I can certainly cope with the club run. Some people don’t like the big jumps between gears but they cannot deny that it is nice and simple! Who completed the Ti repair for you? Vernon Barker. It was fine for a couple of years and then another crack appeared and it’s now in the back of the garage again. Sorry to hear that! Another crack appeared in the same place as the original? 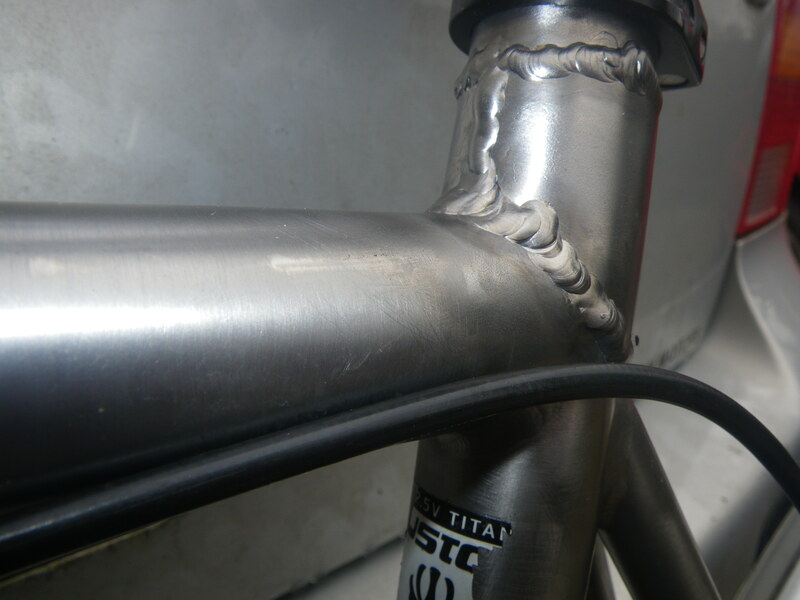 Have to say that pic of the repair weld was pretty ugly… I’d really have expected a better, cleaner job than that. Particularly if it hasn’t actually stood the test of time.